Choose Apricot Stone for handcrafted bags for all occasions, all made onsite in the Market. Great for presents or just to treat yourself, Apricot Stone bags are made in a range of colours and styles from quality fabrics, light, strong and full of character. 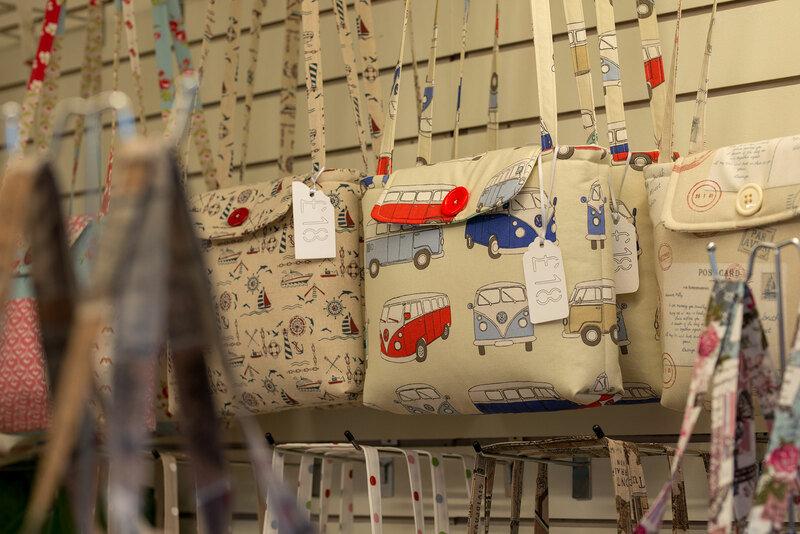 Choose from tissue box covers, tote bags, gift bags, handbags, glass and phone cases – all handmade in Plymouth!